The city of Haldwani is situated in the immediate foothills of the Himalayas in the Bhabhar Region at an elevation of 1391ft . 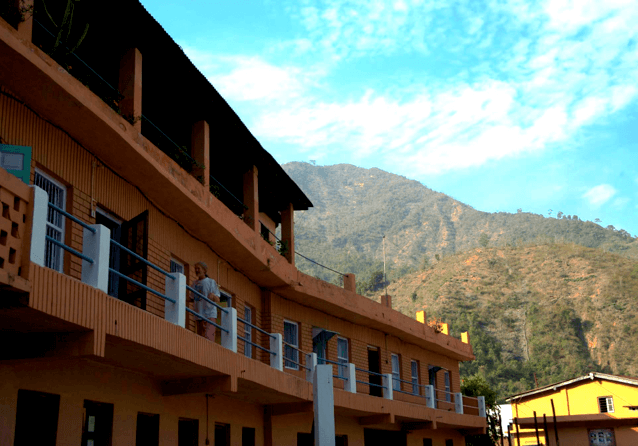 Located in Nainital District in Uttarakhand, Haldwani is known as the “Gateway Of Kumaon” as it serves as a way to head to most of the regions of Kumon. The city stands on the bans of Gaula River and is the largest city in the kumaon region. Haldwani is one of the eight divisions of Nainital District and is also the third most populous city in Indian State of Uttarakhand. 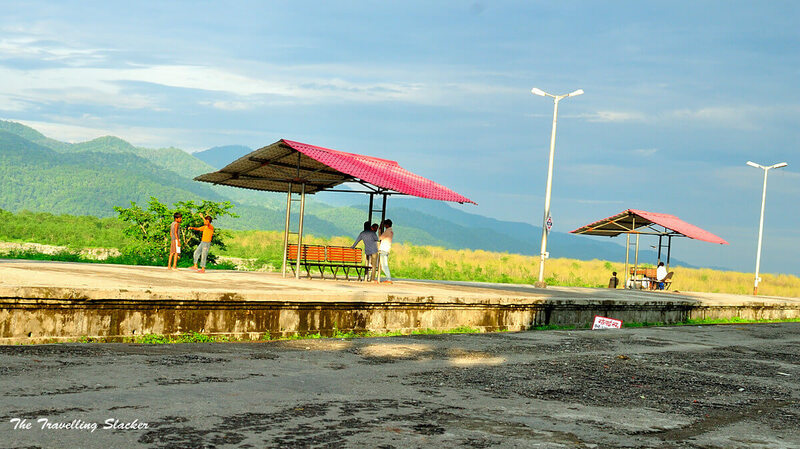 Haldwani is named after a tree “Haldu” which was found in large number prior to deforestation for agriculture and settlement in the area and hence was earlier called “Halduvani” which means “Forest Of Haldu”. The place got renamed as “Haldwani” by George William Trais, the then Commissioner of Kumaon, in 1834. There is not much to explore in the well developed Haldwani but the city yet remains a hub of trade and commerce. One can find a number of educational institutions, cafes and restaurants in Haldwani and shop from the local markets. The place also provides views of imperial Himalayas and quaint valleys. Haidakhan Ashram is dedicated to Haidakhan Baba, also called Bhole Baba by his devotees. The ashram premises are huge and beautiful that includes a temple of the deity and some more temples, a river and several rooms for the devotees to stay. 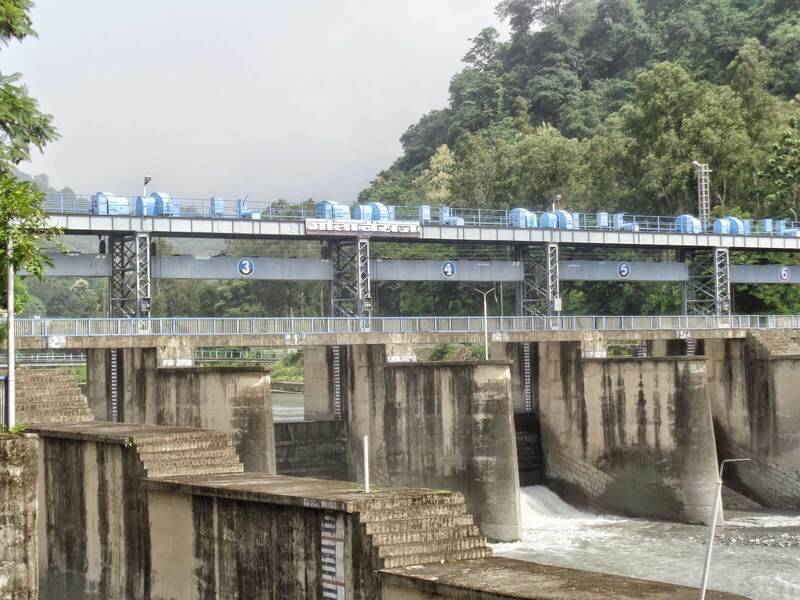 The place is located in a remote area approximately 38 kms from Haldwani and offers great views to see. People basically visit the place to cut off from the regular working life and attain peace in the worship of god. 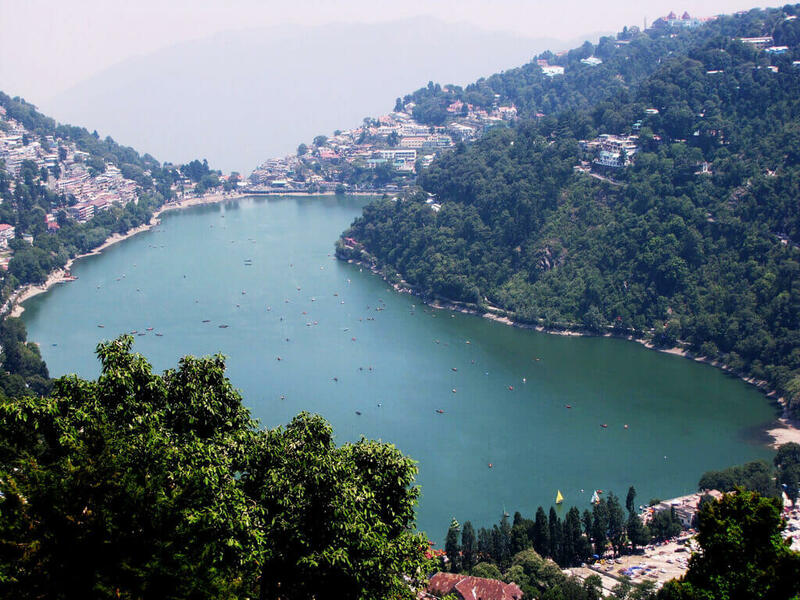 Nainital is a famous hill station situated approximately 40 kms from Haldwani. The town is a tourist destination and is preferred by a number of people during the month of April to June because of the pleasant climate. Corbett Fall is a waterfall located amidst a forest. 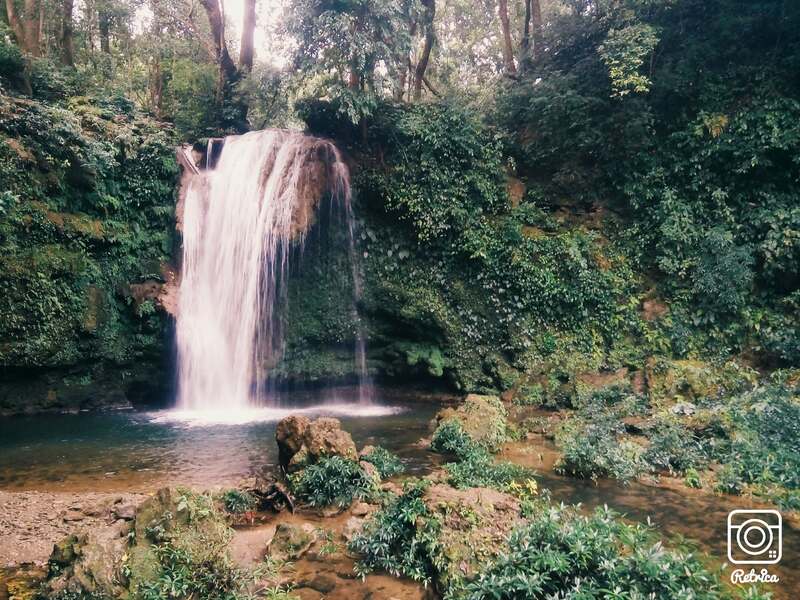 The waterfall is located at Kalaungi that is approximately 20kms from Haldwani. One has to cross a path that is covered with trees and looks more like a forest. After crossing this, one comes to the pleasant view of the waterfall. The whole place is very serene and peaceful and such a pleasant view provides peace to the soul. 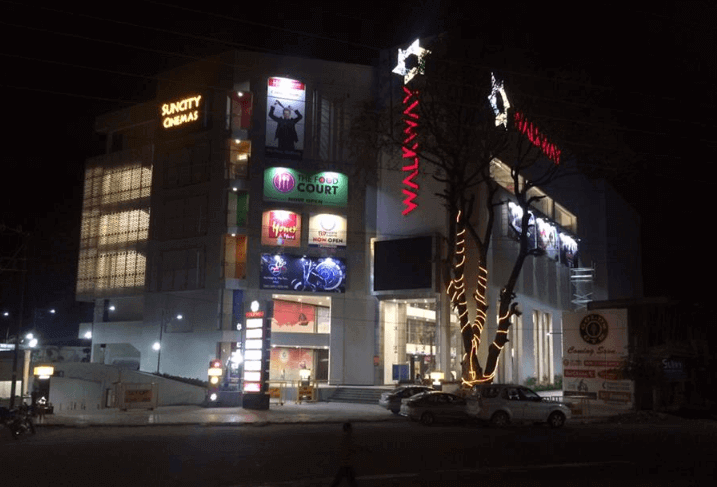 This is the only mall in the city and is located at the not so fine border of Kathgodam and Haldwani. It includes a lot of showrooms along with a cinema hall. Good To Know : The National Capital Delhi is situated at a distance of 286 km. The nearest Airport Pantnagar is 28 Kms away. As this Gate to the Kumaoni regions, Vaibhav Laxmi Tourism/ Hill Taxi awaits to provide you with services of the cabs for travelling to the whole kumaon region and enjoy the charismatic views of the beautiful state.